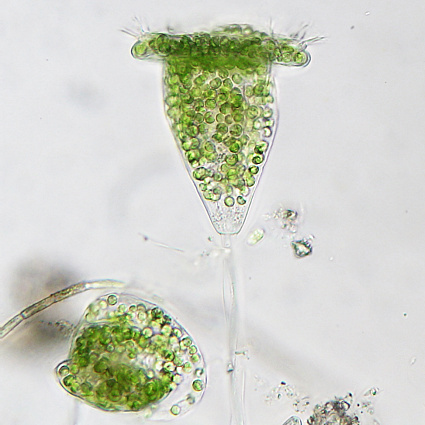 Vorticella is a sessile, peritrich ciliate. Disturbed contracts and myoneme becomes spring-like. The stalk is not branched. Often forms clusters, but not colonies.